I know, I know... it's been a LONG time since my last post. I promise that things are gonna be more frequent, as I have lots of new discovery, killer 45's that I'm ready to share. 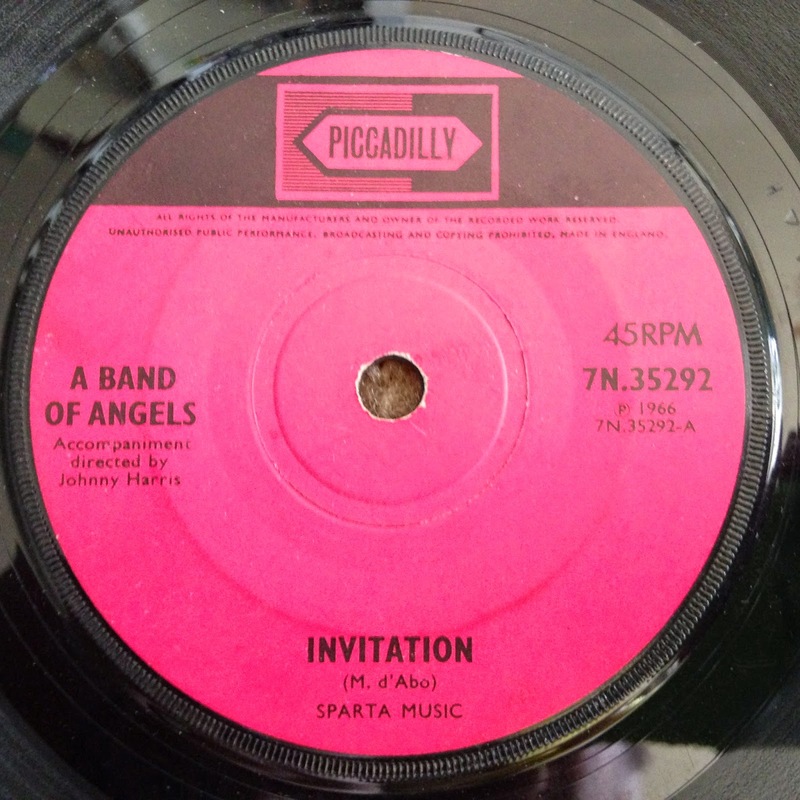 'Invitation' is the final single from this oddly named group of British fellows, and shortly after its release vocalist Mike D'Abo went on to far greater success as lead singer with Manfred Mann (that's Mike singing lead vocals on Mann's huge hit 'The Mighty Quinn'). 'Invitation' is a superb example of the type of influence that American soul music was having upon MOD British youngsters, and it's such a success that I could easily hear someone such as James Carr singing this song in a deep southern soul recording. However, this great composition from Mike D'Abo seems to have only been cut this one time only and a splendid recording it is.